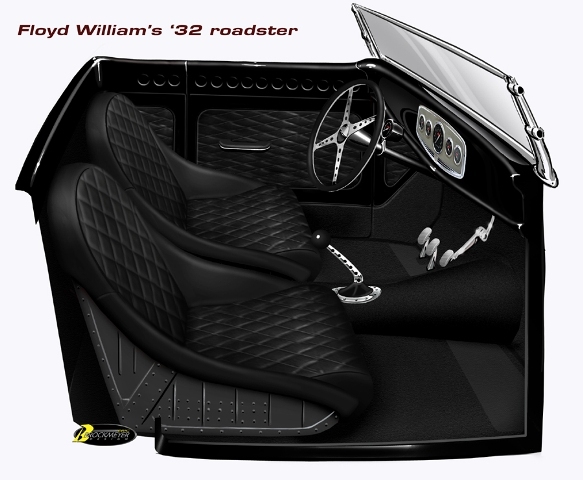 Floyd had a great idea on the interior of the roadster - make a steel interior with some flared holes and then have some diamond patterned leather inserts within the steel (which will sit flush). Should be a perfect match to the exterior of the car. A real hot rod look, just nice! We got with Eric Brockmeyer to do some sketches, and after going back and forth a few times, this is what we came up with. The flared hole pieces will be removable, with the back side able to come apart to allow it to be painted nice and cleaned easily. 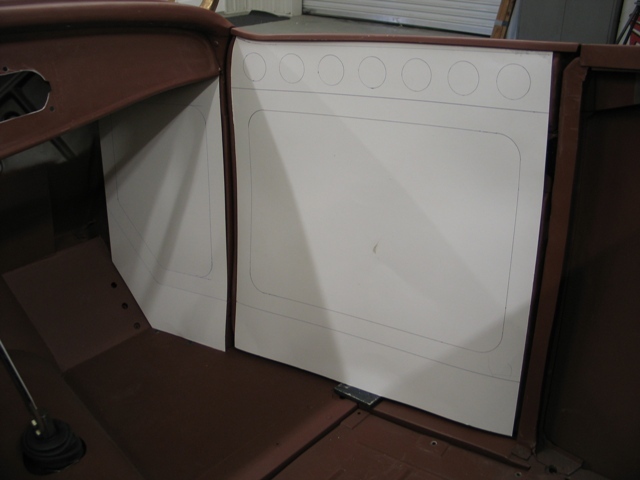 We started with some cardboard sketches of the kick panel and door. This is the piece that will go across the top of the door. We need to put a subtle curve (front to back) in it to follow the curvature of the door. 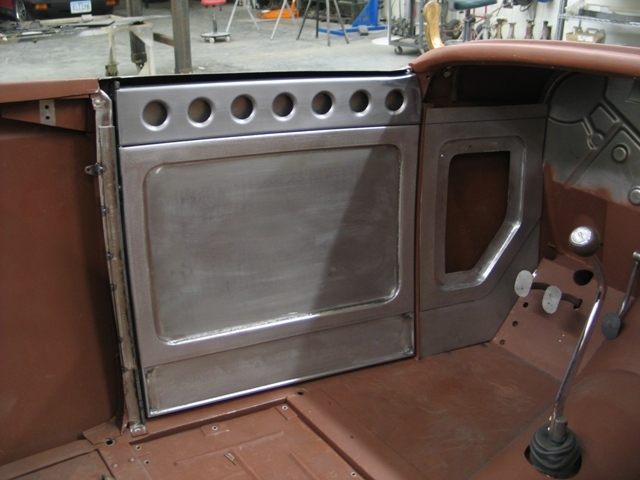 Here it is along with a start of the lower portion of the door. 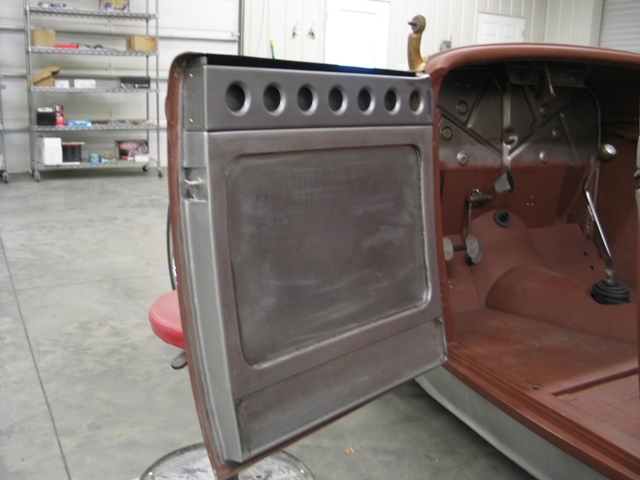 At this point, the kick panel is done and we're starting on the door. The latch has been removed, and a bear claw latch has been moved to the B pillar. Door is almost complete. 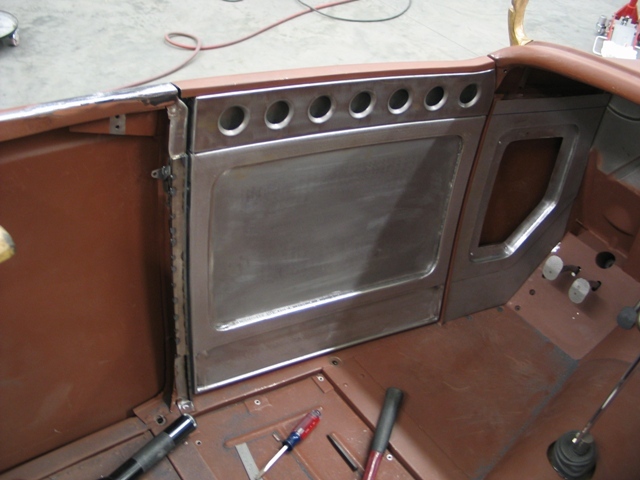 We'll make an insert for the upper portion that will have diamond pattern leather, the lower will have carpet. Both will be a flush fit. 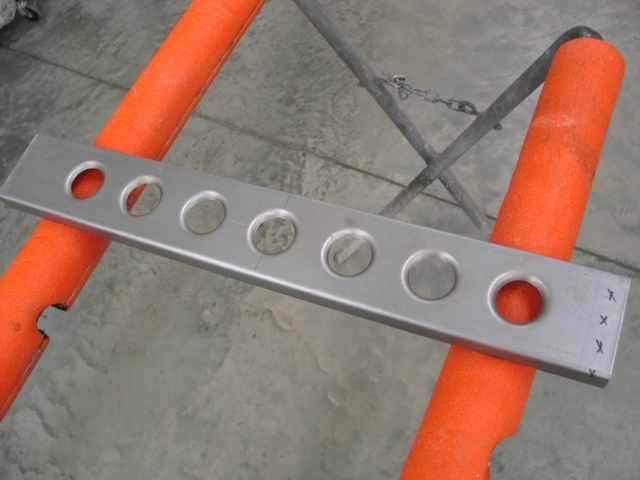 Now we just need to finish the top edge. The doors have a nice jamb area all of the way around. Door is complete. 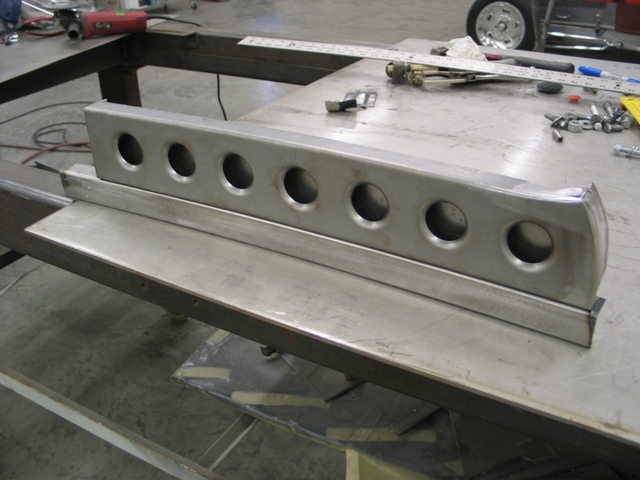 We still need to make an upper portion (with flared holes) for the upper part of the kick panel. 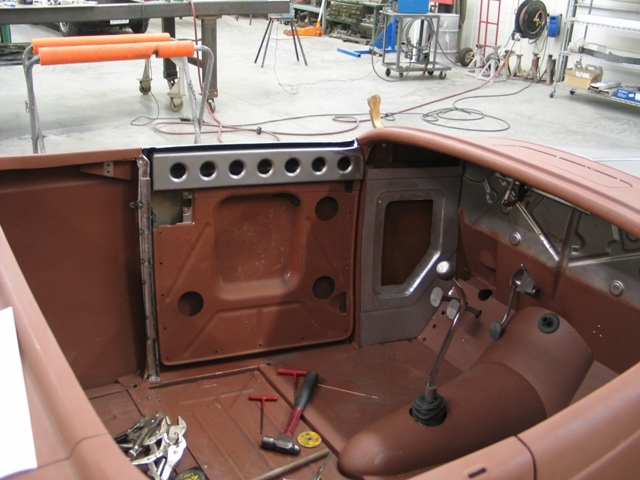 A hard piece to see when compete, but if you look up under that dash, it will flow with the rest of the interior real well!